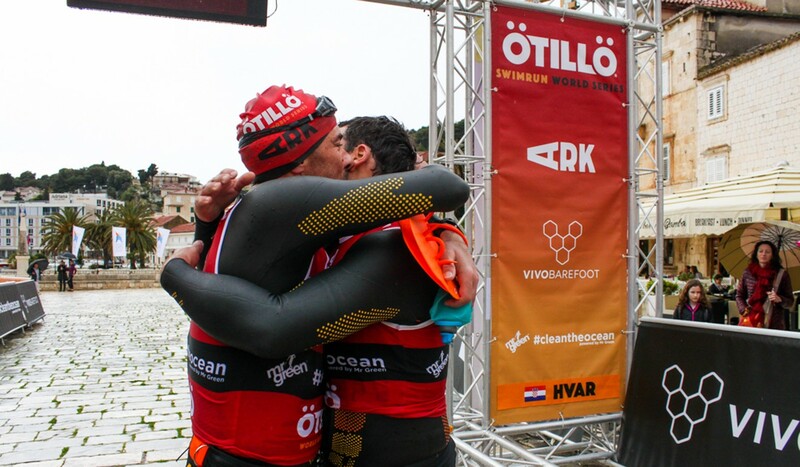 Hongkongers Matthieu Maury and Nicolas Gontard had to rely on each otherto get themselves around a gruelling swim-run race in Croatia last weekend. 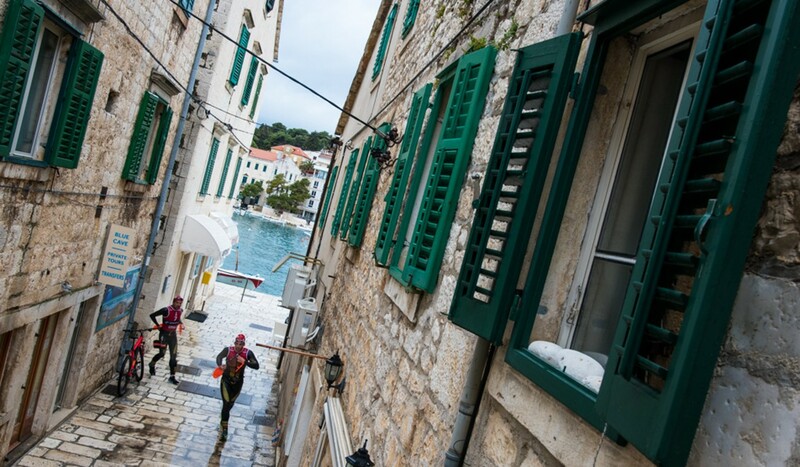 The pair came first and second in the TerraMar SwimRun series in Hong Kong last year so decided to team up for the 32-kilometre Otillo SwimRun Hvar race in the Mediterranean, which featured 9km of swimming and 32km of running. Maury, 30, and Gontard, 53, had bought with them a tow rope for such an occasion. Gontard said the roles have been reversed in the past, where he was expected to help. “But I am grateful. I paid for dinner,” he said. The pair started the race slow but began to over take teams on the coasteering sections. They put their strong performance down to having access to rugged coasts and open water swimming in Hong Kong. There are not many places you can open water swim all year round unless you are crazy due to temperatures, said Gontard. “Hong Kong is perfect for swim-run races and training,” he said. They finished 37th out of 141 teams, completing the course in six hours and 12 minutes. Their teamwork was tested yet again in the swimming, when the conditions were rough. The longest section was 3km, so they needed to be conscious of navigation and sticking together in the swells. “You need the training otherwise it is pretty intimidating,” Gontard said. Gontard works in hospitality, buying and developing properties into luxury resorts in Japan. But he also bought a small plot of land in Siargao, Philippines. After working with local authorities he built a school and now provides free education for local children. He calls his NGO, Espoir, which means hope in French, his native tongue. He said he hoped he can raise more funds for the school via his endurance exploits . You can donate to Espoir here. Could a hiking pole ban protect Hong Kong’s country park trails?